Sweet, fresh, and vibrant, this strawberry sauce recipe is a FAVORITE topping for desserts! 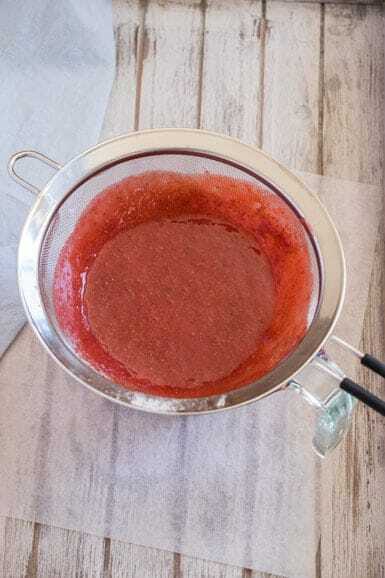 Learn how to make strawberry sauce with a few easy ingredients. 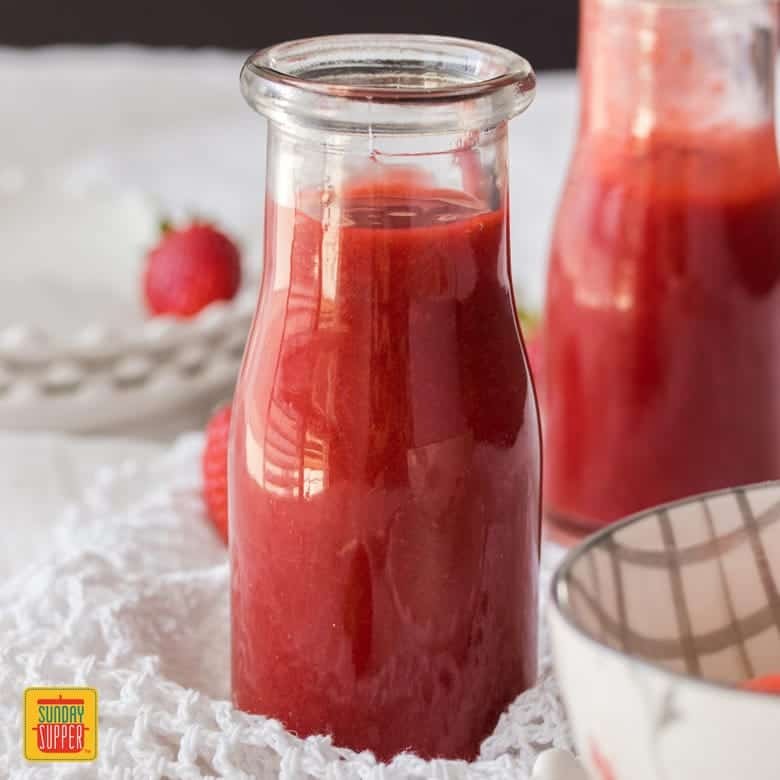 When all you want is a fresh and flavorful fruit sauce to top your ice cream, cake, pancakes or enter-any-dessert-here, this strawberry sauce is the easy recipe you need. Strawberry sauce is a thick, sweet sauce made from real strawberries. All you need are 4 ingredients and less than 15 minutes on the stovetop to make homemade strawberry sauce. 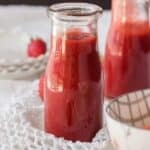 What do you need to make homemade Strawberry Sauce? 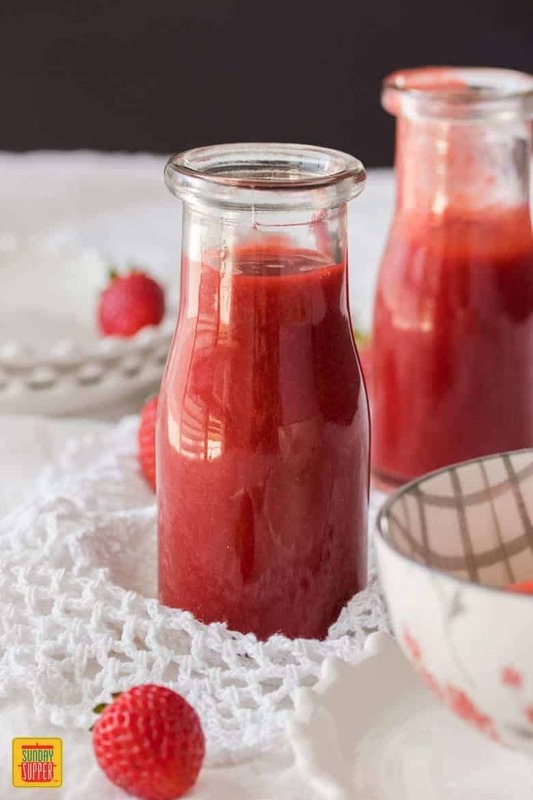 You only need 4 ingredients if you want to learn how to make strawberry sauce! And really, does water even count as an ingredient? It’s simple to make delicious, thick strawberry sauce. Luckily for us all, Strawberry Sauce is incredibly easy to make! I’ve got 2 (count ’em, 2!) handy step-by-step photos for you. It’s that simple! 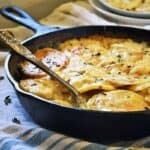 Add all ingredients to a heavy-based saucepan over low heat. Heat, stirring to dissolve the sugar. As soon as the strawberries have thawed, add everything to a blender and purée. Return the puree to the saucepan, bring it to a simmer and let cook, stirring every so often until very thick and a little darker. Strain the mixture to remove the strawberry seeds. TIP: I use a heavy-based saucepan as they distribute the heat better. Make sure to stir every so often to stop the sugar from catching on the bottom of the pan. By far the hardest part of making homemade strawberry sauce is waiting for it to cool. TIP: I find strawberry sauce tastes best when cooled down. Do you use fresh or frozen strawberries to make strawberry sauce? I use frozen strawberries to make strawberry sauce. 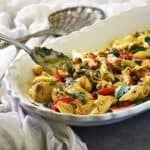 I always have them stashed in my freezer so I can make this sauce at any time of year, even when strawberries aren’t in season. 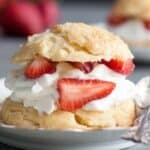 You can use fresh strawberries. Since you don’t need to wait for the strawberries to thaw, you can blend them right at the start, then add the puree to a saucepan and finish the sauce the same way you would when using frozen berries. Can you freeze strawberry sauce? You sure can! Strawberry sauce should be frozen in an airtight container, but here’s a tip if you’re making more than you need right away. TIP: Pour the sauce into muffin tins and freeze. 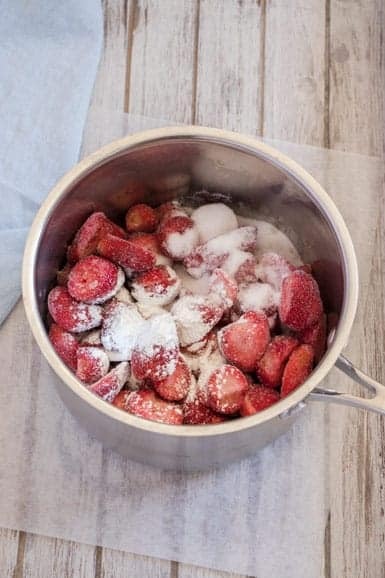 Once frozen, transfer the frozen Strawberry Sauce into an airtight container or ziplock bag. This way, you can grab just as much as you need each time. How long does strawberry sauce keep? 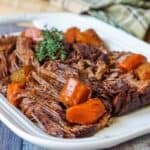 It’s best to use this sauce fresh within 3-4 days, but don’t worry! You can use a large portion of it in a Strawberry Swirl Cheesecake or another favorite dessert. If you plan to freeze your strawberry sauce, it will keep well for 2-3 months. I could literally go on forever. Strawberry sauce is the perfect dessert topper! 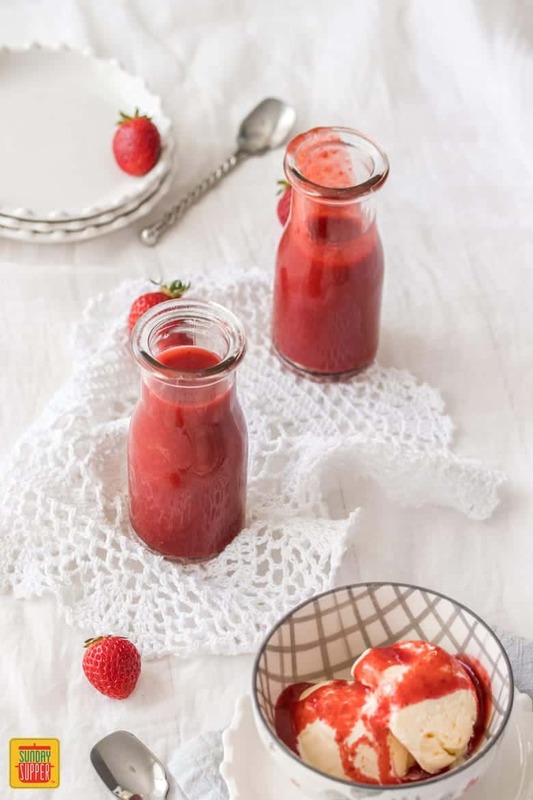 Whatever time of year it is, you can have this fresh and fruity strawberry sauce recipe in less than 1/2 an hour. 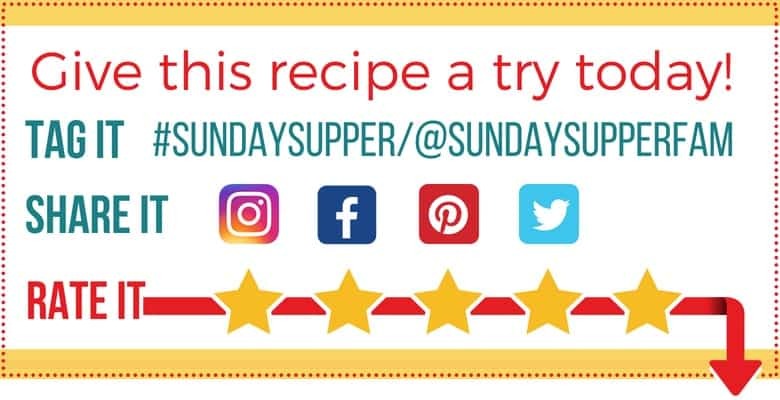 Everyone needs a dessert recipe like that! 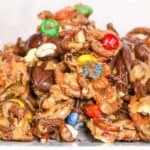 Enjoy, and let us know what you think in the comments below. As soon as the strawberries have thawed, add everything to a blender and purée (see notes). Return the puree to the saucepan, bring it to a simmer and let cook, stirring every so often until very thick and a little darker. Strain the mixture. 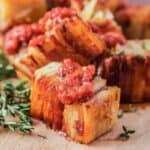 TIP: If you would like some chunks of strawberry in your sauce, then take out a few pieces of the thawed strawberry before you puree it. Chop these pieces into chunks and add it back to the sauce after straining. 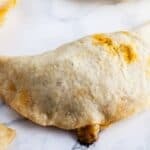 Marie is a self taught home cook with a particular love of comfort food and dessert. 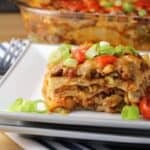 Marie loves creating easy recipes that you can serve up to your family and friends. Gather and dine everyone. We make strawberry sauce every week to go on pancakes. It is SO good. That is awesome. We could eat strawberry sauce on pancakes every day! We’re glad to hear it, Noelle! We’d love to know how it goes! I really like your idea of freezing this strawberry sauce in muffin tins so you can have it anytime of the year. Such a great idea. Thanks, Kelly! It’s so handy for enjoying it year-round. Thank you, Amy! We hope you love it! 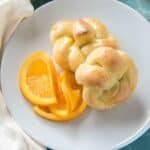 This is definitely going to be making an appearance on my Easter brunch table! So much deliciousness! Thank you so much, Kim! 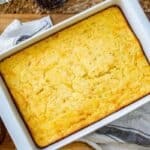 It’s such an easy and delicious dessert topper! This sauce looks so delicious! Thanks for sharing! Thank you, Judith! We’re so glad to hear that!